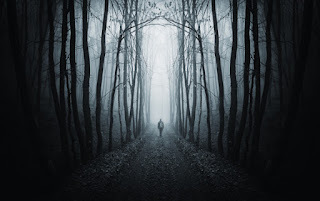 I've mentioned my interest in horror in previous posts, and I've promised to write about it more directly another time. Well, this is the time. Horror is the oldest of my personal interests-- predating Catholicism, predating conservatism, predating poetry, predating philosophy. I can't remember a time that I wasn't interested in horror. My father is a fan of ghost stories. He's often told me the story of how he would get up in the middle of the night, in his own childhood, and read a big book of ghost stories by candlelight. So, while he disapproved of science fiction and fantasy, he was always pro-horror. It's not that he ever forbade me to read science fiction or fantasy, but he never encouraged it, and he tended to disparage both genres. Whereas he did rather encourage horror. 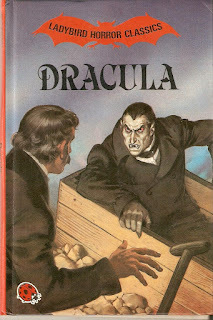 For instance, I remember him buying me and my two brothers a picture-book version of Dracula, when I was quite young. The book came with a cassette tape and I can still hear the Count snarling: "My revenge has yet to come!". This is a very happy memory. My brothers and myself were indulged in watching late-night horror films, a tradition that seems to stretch back into the earliest mists of my memory. How many horror movies did I watch over the years, sitting on the couch or lying on the living room floor? I have no idea. I can't remember most of them. Very often all I can remember is a scene, an image, a line of dialogue. Sometimes the films frightened me, but mostly they didn't. My love of horror doesn't really have much to do with being scared. Pleasantly spooked, but not scared. I've written another post about the things that did scare me in my childhood. I think one of the reasons I've loved horror all my life is because horror felt like my thing. From as far back as I can remember I thought of myself as a horror fan, and so the horror genre felt like home ground. Perhaps this is part of the quest for identity and for belonging-- certainly a motive I would never undervalue, either in individual or in collective life. My interest in horror was always more pop-cultural than literary, and it still is. 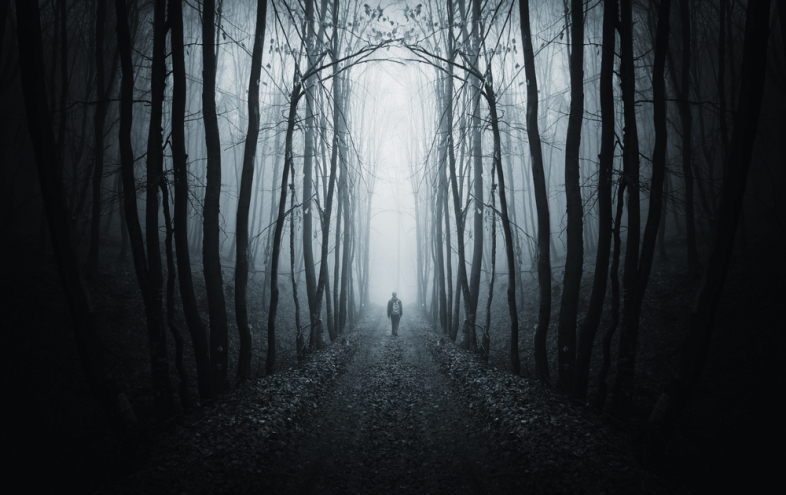 Of course, it's hard to draw a distinct line between those two categories, since so much of pop culture horror draws upon literary classics, just as literary classics themselves draw upon centuries of folklore. I remember reading Frankenstein when I was very young, perhaps ten or eleven, and finding it rather dreary and monotonous. I didn't read Dracula (the non-picture book version) until I was in my twenties. 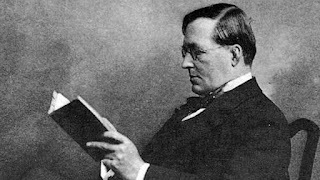 I read Sheridan Le Fanu and M.R. James in my teens, and again, I was not very impressed (though I hesitate to admit it). I haven't revised any of these opinions, except for a slightly higher appreciation of M.R. James. Insofar as any horror literature impressed me, it was anthologies of horror stories. I read a lot of these in my teens, as well, but most of the titles and authors have escaped me. I was always interested in the situation, the idea, much more than the telling of the tale. I liked (and I still like) "high concept" stories. For instance, I remember one story which involved a woman and her two children caught within a shopping mall which seemed to have no exit. Whenever the woman asks anyone for the way out, they seem confused. The final scene of the story shows the woman blithely shopping like everybody else, having lost all interest in getting out. This reminds me of another story, one which I read in a science fiction magazine belonging to my older brother, back in the eighties. It was either Epic or Omni. It featured characters in a futuristic virtual reality, who are completely covered in metallic body armour, and who kept hearing ghost voices. We eventually learn the "ghosts" are people who have escaped the virtual reality world and are trying to liberate those still trapped inside their metal suits. When the final character is liberated, he refuses to accept the new reality and massacres everybody else, finally putting his suit back on. Something like that. If anyone recognizes these stories, please let me know! What is the appeal of horror to me, aside from the personal nostalgia, and the sense of belonging? I think it's a few different things. Primarily, I think it's the otherworldliness. Even when I was something of a rationalist in my metaphysics, my own inclinations were always towards the mystical, the supernatural, the fantastic. I wasn't too far from the state C.S. 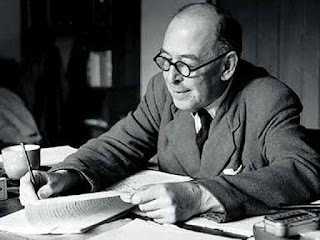 Lewis described himself as having passed through, in Surprised by Joy: "Nearly all I loved I believed to be imaginary; nearly all that I believed to be real, I thought grim and meaningless." Of course, I wasn't thinking in such deep terms for most of my life. I just lapped up stories of the supernatural, paranormal and ghostly. I suppose I don't really have to dwell on this point. It would require a blog post all on its own, at any rate. Another reason I loved horror is because it was so romantic. 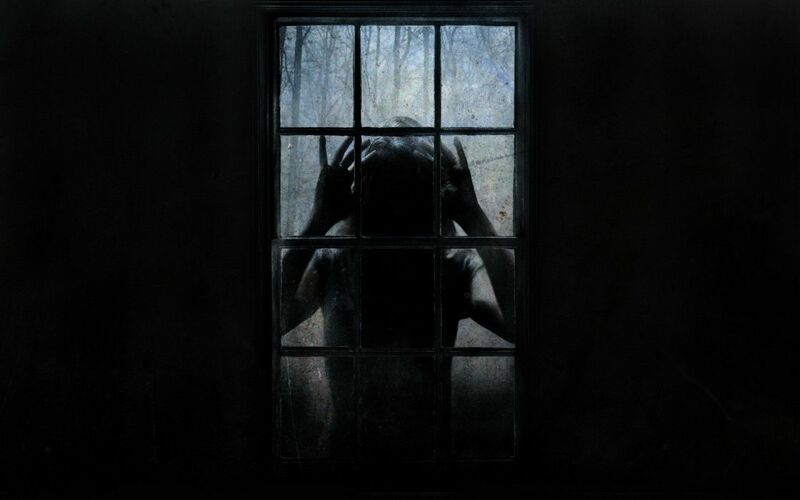 Horror, for the most part, is a very romantic genre. Occasionally you will get a horror film such as Alien which is stark and brutal, in style as much as content. 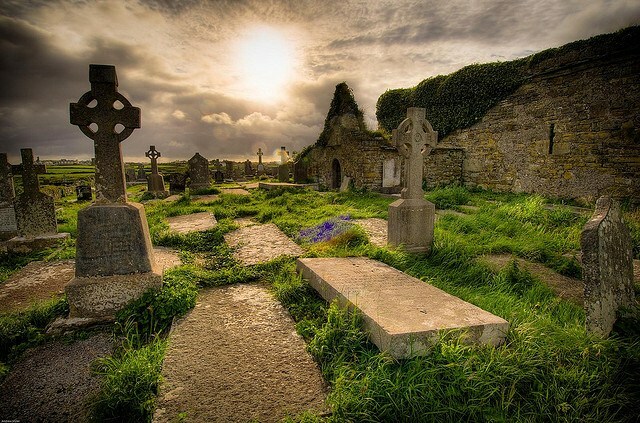 However, the horror genre tends to choose settings and environments which are old-fashioned, picturesque, even pastoral: lonely moors, isolated villages, old houses, bedrooms with four-poster beds and fireplaces, stormy nights, dusty attics, night trains, moonlit graveyards, and so on. The romanticism is not confined to the visual realm, however; let us not forget howling wolves, branches tapping at windows, things that go bump in the night, spooky playground chants, creaking doors, chirping crickets, moaning winds...well, I could go on till the dead rose from their graves, but I won't. This brings me back to the theme of gore. It can be embarrassing to admit to a love of the horror genre, since so many people seem to equate it with teenagers being sliced up by rubber-masked lunatics-- in glorious technicolor! But I don't like gore myself, and neither do a lot of horror fans. The sight of a knife slicing into human flesh doesn't so much frighten me as disgust me. This is not to say that gore should never feature in horror. There are few horrors more primal or enduring than the horror of somebody trying to murder you, and murder is generally a bloody business. The slasher genre is not my favourite of horror sub-genres, but I do like some slasher films, most notably the 1996 film Scream. So I'm not completely anti-gore, but it's certainly not the thing that draws me to horror. The finer and subtler moments of the genre rise far above gore. But you can't be subtle all the time; comedy needs broad farce as well as delicate irony, and there is always a place for the axe-wielding maniac in horror. The appeal of horror (to me, at least) is not simply fear. It's the particular flavours and shades of fear, and spookiness, and dread. I was once taken to see a film version of King Solomon's Mines. Of its many sins--not least the introduction of a totally irrelevant young woman in shorts who accompanied the three adventurers wherever they went--only one here concerns us. At the end of Haggard's book, as everyone remembers, the heroes are awaiting death entombed in a rock chamber and surrounded by the mummified kings of that land. The maker of the film version, however, apparently thought this tame. He substituted a subterranean volcanic eruption, and then went one better by adding an earthquake. Perhaps we should not blame him. Perhaps the scene in the original was not 'cinematic' and the man was right, by the canons of his own art, in altering it. But it would have been better not to have chosen in the first place a story which could be adapted to the screen only by being ruined. Ruined, at least, for me. No doubt if sheer excitement is all you want from a story, and if increase of dangers increases excitement, then a rapidly changing series of two risks (that of being burned alive and that of being crushed to bits) would be better than the single prolonged danger of starving to death in a cave. But that is just the point. There must be a pleasure in such stories distinct from mere excitement or I should not feel that I had been cheated in being given the earthquake instead of Haggard's actual scene. What I lose is the whole sense of the deathly (quite a different thing from simple danger of death)--the cold, the silence, and the surrounding faces of the ancient, the crowned and sceptred, dead. You may, if you please, say that Rider Haggard's effect is quite as 'crude' or 'vulgar' or 'sensational' as that which the film substituted for it. I am not at present discussing that. The point is that it is extremely different. The one lays a hushing spell on the imagination; the other excites a rapid flutter of the nerves. In reading that chapter of the book curiosity or suspense about the escape of the heroes from their death-trap makes a very minor part of one's experience. The trap I remember for ever: how they got out I have long since forgotten. There are indeed different flavours of spookiness. However, there is so much more to say on this subject, I am going to submit to the inevitable and make this the first instalment in a series.